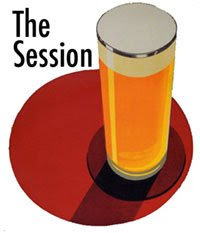 Thirsty Pilgrim: Session #25: Finding Lager in an Alestack. It's a beer festival weekend. Not just that, but it's Zythos weekend. There is a crisp, thirsty anticipation in the air. Even my hound dog senses it, giving me sad and pitiful looks, as if he knows he's going to get walked considerably less over the next few days. "Stop it," he says. "I always look like this. You're internalizing my permanent facial expression again." Oh. Sorry, boy. Today it's also time for the Session. This is a monthly navel-gaze where beer bloggers opine on a common theme. In this case the theme is lager, the most popular and least appreciated style of beer on the planet. Meanwhile, aficionados tend to skip the local lagers and head straight for the ales. 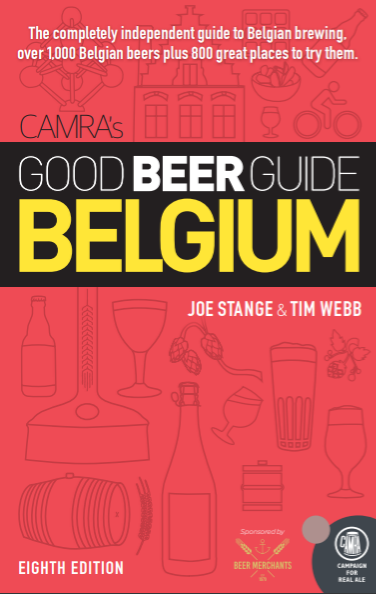 A reasonable thing to do – except that many of them miss out on a handful of really interesting, flavorful lagers made by Belgian craft brewers. Someday I will tell you about the best lager I've had in Belgium. Not today. It deserves a day and a post all its own. Anyway, this is festival weekend. As it happens, the second-best lager I've had in Belgium is available this weekend in Sint-Niklaas. In my private little world where I try in vain to ignore what other people think, it was the (i.e., my) revelation of last year's ZBF. I'm talking about Slaapmutske Dry-Hopped Lager. The beer is exactly what you'd want from the name: A clean, gently bitter and aromatically hoppy golden beer. Very refreshing and full of character, my two favorite beery traits. Someday I hope to see it outside of a festival. The only thing I hold against it is that it's made at Proef. This is a Belgian brewery known for cranking out oodles of contract beers hired by people who often pretend (or are happy to let you believe) that they have their own little brewery somewhere. What makes this more annoying is that many of those beers are pretty decent. This Dry-Hopped Lager is one of the best. The dog is looking at me again. He thinks I should go work out or something. Damn you, beagle. Perhaps we should round up all these people claiming their national beer is the best in the world whilst drinking something best left to the imaginings of an accountant and let them fight it out viciously, while we sneek off and tuck into what good beer we choose? Love the title! And the dry-hopped lager sounds great.